"When you're being creative in the studio, the last thing you want to worry about is a bad cable. I've been using Mogami for years now and have never had any problems. They always sound impeccable and just work!" 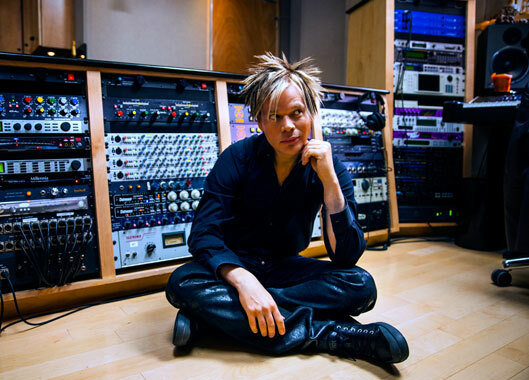 Brian Culbertson began his musical journey at the age of 8 on piano, adding drums at 9, trombone at 10 then bass at 12. He grew up near Chicago, IL, loving genre-crossing jazz-pop artists such as Earth, Wind & Fire, Chicago, Tower of Power, The Brecker Brothers, David Sanborn, Yellowjackets, Sting and Chick Corea. So naturally gifted was Brian, his 7th grade piano recital consisted of all original tunes. Brian flourished in school bands throughout high school and moved to downtown Chicago to continue his musical studies at DePaul University. In 1994, at age 20, Brian self-produced his debut album, Long Night Out. After that release, he then went on to compose jingles for clients such as United Airlines, Gatorade, Sears, Coors and McDonald's in the bustling city's highly competitive advertising community while still continuing to make records and tour. Since then, Brian has released fifteen more albums, toured around the world, seen his name at the top of Billboard and radio charts, worked and performed with industry all-stars like Maurice White of Earth, Wind & Fire, Larry Graham, Michael McDonald, Chris Botti, Musiq Soulchild, Ledisi, Barry Manilow, Herb Alpert, Natalie Cole, Chuck Brown, and Bootsy Collins just to name a few, and received numerous awards including being nominated for a 2012 NAACP Image Award and a 2012 Soul Train Award. Also in 2012, Brian founded the Napa Valley Jazz Getaway which is a 5-day festival of wine, food, art and music set in California's famous wine region. The inaugural event featured Sinbad, Oleta Adams, Kenny Lattimore, David Benoit, Eric Darius and many top wineries throughout Napa Valley including Silver Oak, Chimney Rock and others. After three successful years, the 5th annual is now on sale for June 8-12, 2016. Regardless of his success, fans can be rest assured that with 15 albums and counting, Brian Culbertson always brings his very best â€“ and brings the very best out of others â€“ in all of his broad-ranging musical endeavors. Check out Brian's brand new 2-Disc LIVE CD, commemorating his 20th Anniversary Tour, available now.